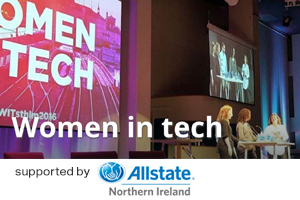 Sync NI - opinion - Why do female entrepreneurs get billions less in funding? Why do female company founders get significantly lower venture capital funding than their male counterparts? Recent research indicates that this is a significant problem, and suggests a few ways that it could be tackled. The last thing any startup founder pitching for funding wants to hear is that they're automatically at a disadvantage due to their gender, but that seems to be exactly the case in the UK and globally. New statistics released recently by the UK government-owned British Business Bank plc have shown that around 89% of venture capital investment in UK startups went to teams with all-male founders, with 10% going to mixed gender teams, and under 1% to all-female founded companies. Not only do startups with female founders get a lower proportion of the overall funding, they also appear to get less funding when successful. That 1% smidge of funding for all-female teams actually represents 4% of the total deals closed with VCs, with mixed teams getting their 10% share of the funds from 15% of the deals, and all-male startups getting 89% of the funding from only 81% of deals. The statistics are pretty damning, but this problem isn't new. Most female entrepreneurs will be able to tell you from experience that they are treated differently than their male counterparts and have to work harder to prove themselves. Those in mixed teams will always have stories of their male founders being taken more seriously and facing lower scrutiny. I run a small independent game development studio named Brain and Nerd that has a 50% founder gender split, and we've seen these issues first-hand when pitching or giving presentations. In her ground-breaking TED Talk on the issue (below), Colombia Business School research fellow Dana Kanze presented recent research into why female founders get less funding than their male counterparts. Kanze was inspired to research the topic after founding a tech company and noticing that she was being asked different questions in VC pitches compared to her male colleague. Kanze found that she was getting asked very different types of questions than the male founder, and that this automatically framed her responses in a more negative light. While her male founder would be asked about growing the customer base, for example, she would be asked about preventing customer losses. Applying research methodologies to the problem in controlled conditions produced some very interesting data that can't be easily ignored. In her PhD research, Kanze discovered that women found 38% of US companies but get only 2% of VC funding. Using data collected at TechCrunch Disrupt's Startup Battlefield event, she was able to control for factors such as presentation style and the types of business started by men and women. She then analysed the language used in questions from VCs and the performance of pitches across the board, and found some interesting correlations. Kanze discovered that around 67% of male entrepreneurs at the event were asked positive questions using "promotion" type language that focused on growth and success potential, while 66% of female entrepreneurs were asked guarded questions using "prevention" type language focusing on loss prevention. Those asked the promotion type questions ended up with twice the funding at the end of the event, too. As the goal of the event was to get interest from venture capitalists and they will only be interested in companies with huge growth potential, the VCs themselves were asking women questions that ruled them out of contention. This effect wasn't gender-specific to the VC either, as both male and female VCs exhibited the same behaviour of asking promotion type questions to men and prevention type questions to women. The findings suggest that female entrepreneurs should learn to recognise when they've been asked a prevention type question in a pitch and try to reframe the answer to give a promotion type response. When asked how you're going to hold onto your existing customers, for example, you could give stats on your company's retention rates but also its recent growth and future market trends. The real solution is that venture capitalists should learn to recognise when they're asking loaded questions and switch strategies, because they may be inadvertantly turning themselves off a company that would make a good investment. Ask the same questions of male and female entrepreneurs in pitches, turn that into your competitive advantage, and maybe you won't miss that next big opportunity someone else would pass up.